I frequently hear a lot of brides say something like “I love peonies, but I’m not sure I can afford them.” Just because you love them doesn’t mean you can’t carrying a bouquet filled with a few (or more) of your favorites. Beautiful blooms are usually priced at a premium, but getting creative with how you use them is the key to being able to enjoy them on your wedding day. Your bridal bouquet will spend a good portion of the day with you and will be in most of your pictures. It should be a reflection of what you love and your style. After the ceremony and formal pictures are done and the festivities ramp up, your bouquet still has a visible role. It should be on display at your reception for all to admire! Perhaps at your sweetheart table, head table or cake table. So, in my opinion it’s definitely worth the splurge! 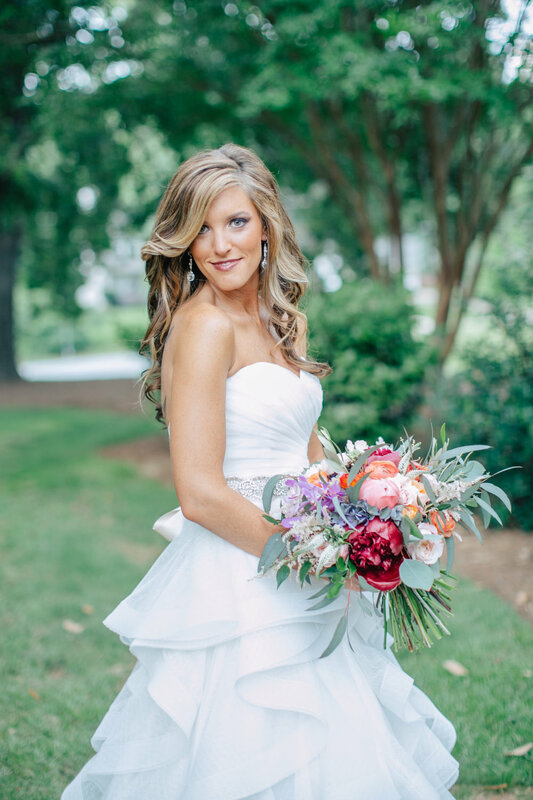 Besides, you deserve a pinterest worthy bouquet on your big day! And, since we are talking about bouquets, here are a few of my favorites! Enjoy!